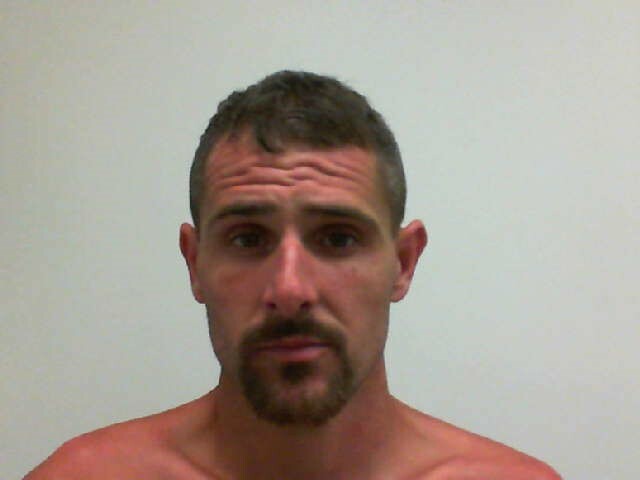 CONWAY, NH – Conway Police arrested a Hudson man after he lead them on a chase in a stolen Jeep Wrangler. Police said that at around 6:00pm Thursday an Officer responded to a report of a stolen 2014 Wrangler on Echo Acres Road in North Conway. About an hour later the Officer observed the stolen Jeep pulling out of the road onto route 16. The officer attempted to pull the Jeep over, however the driver accelerated and continued southbound on Route 16 at a high rate of speed. Police said that the driver swerved into the opposite lane during the pursuit almost hitting another vehicle head on. The driver turned into the Eastern Slope Campground and onto an adjoining field where he left the jeep on foot running into the camping area and through several campsites. The suspect identified as 33-year-old Kyle Rodier was eventually found hiding in a tent at the back of the campground and was arrested. Rodier faces multiple felony and misdemeanor charges including; Receiving Stolen Property, Unauthorized Use, Reckless Conduct with a Deadly Weapon, Criminal Mischief, Disobeying an Officer, Disorderly Conduct, and Resisting Arrest or Detention. Kyle Rodier has a lengthy motor vehicle and criminal history and his license was suspended on April 30th due to a refusal of the implied consent law in Hillsborough County. He was held on $7500.00 cash bail and was arraigned today (7/6/18) in the Carroll County Superior Court.